We stay at home moms (SAHM) need the same pioneer spirit that granny had. I’m a pioneer in my neighborhood. There are 13 moms of young children in my neighborhood. Only 3 of us are living on one income. The other 2 moms have one child each and I have 10. My husband makes less than either of theirs too. Are we deprived? No! Are we happy, healthy and living an abundant life? Yes! How do we have 10 people (two have moved on) thriving on one income? By very careful spending! We know the difference between a need and a want. It was my motivation years ago to cut spending so we could live on one income. My oldest is now 26 and we have 2 in college. My youngest is 6. We have enough money to cover all the basics and some of our desires. My children have gone to Disney World, skiing, the Outer Banks, and 4 have gone to Brazil! One has been a nanny on a cruise to the Bahamas too! Deprived? Hardly! But do they get everything they want? No. I’m not at all apologetic or afraid to tell them no when they ask for toys or want to see a movie at the theater. I have their best interest at heart and will put money into activities that teach, inspire and stay in their memories. I save money a little at a time. How? By not buying the little things that eat up $1 here and $2 there. It really adds up. I’ve been learning how to live on less for 30 years and want to share that knowledge with other moms who want to leave the workforce to be home with their sweet children. If you’re such a mom, you’ve found the right place. You can come here to read, or you can buy the book Get More for Your Money as soon as I get it reprinted. It’s more fun to curl up in bed with a book and there’s more info. in the book too. The resource section lists many sources of money saving ideas like mail order businesses, books, co-ops and organizations. 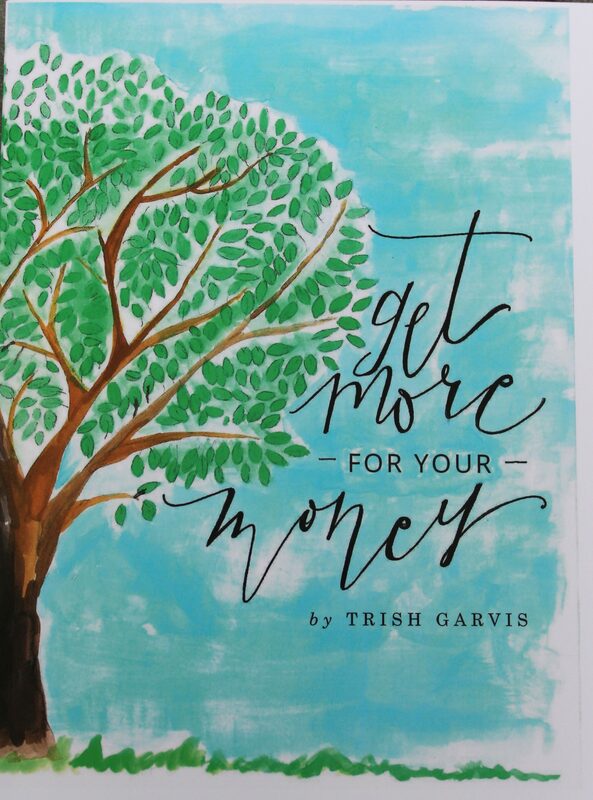 The book has worksheets, quizzes, and stories about how the Garvis family and others have learned that a thrifty life is a life of confidence, happiness and fulfillment. 2 replies to You Have Ten Kids and One Income?! I’m striving for our family to be financially like yours one day. It’s inspiring to see you manage to do it with 10 kids!! And here I am struggling with 3. Congrats! Wanting to be thrifty means you’re most of the way there! Now it’s just learning the best sources for deals and getting you mindset fixed on keeping all your money in your hands. Shopping seems so fun, but I’d rather have my money, thanks just the same. Let me know if there are particular areas you’d like me to blog about and thanks for your comment, I was thrilled!